Now that the nose is fixed (but still a bit sore to the touch! ), I am working on all the other repercussions from the Battle of the Spider from last month. #ALLSPIDERSMUSTDIE Pepper is still keeping watch over me while I shower. 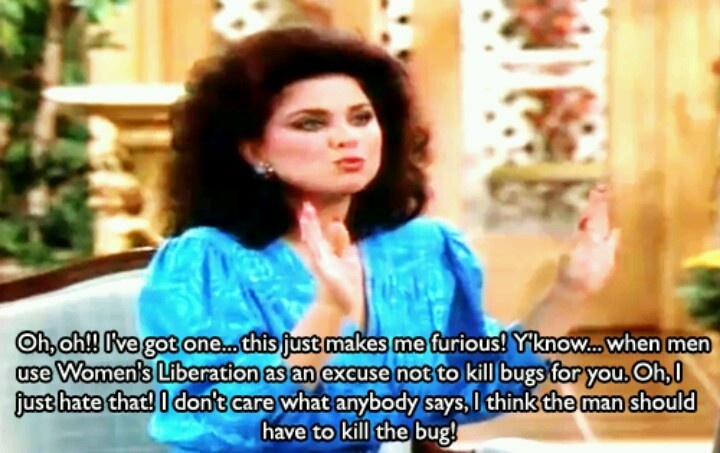 My new rule is the Suzanne Sugarbaker rule, “I think the man should have to kill the bug!” Thank you Wanda Garner for reminding me! But it is physical therapy for the shoulder that’s the killer! Cried two days this week. I am not that kind of girl. It was TOUGH! But it was a little better today! My advice: Let the men kill the spiders! It’s not worth it! On another note, my oncologist said we are going to hang out for about three months and see if the tumor markers continue to decrease on the one tumor that could not be burned during microwave ablation. He said if the numbers continue to go down, that is a good sign. Dr. Hill said we will make new treatment plan after the results for tests after the three-month period. As all cancer patients know, it is always as a “hurry up, and wait” situation. Pepper and I think we received good news, so that’s what we are going with! It hasn’t taken long for Pepper to start singing and dancing again. I am sleeping in the recliner, at first for the nose surgery and now for the shoulder pain. He will come in and stand in front of the television (in all stages of dress) and sing to his heart’s content! Usually just one song (praise the Lord) but I have found the picking the phone up to make a video of him singing gets him on the move! He DOSEN’T want a photo taken while he is acting and singing! Too funny! Check out HIS LAST DAYS at 8 p.m. TONIGHT at Kosciusko UMC. This event is held on the grounds of the church in Downtown Kosciusko.